An enhanced iBook, multimedia, vampire novel that contains 84 illustrations, hand-drawn maps and an accompanying 12-song album of original music. Released January 22, 2013 ROTCR has continued to remain in the Top 11 of Apple’s “Hot New Sci-Fi & Fantasy” category on the iBook Store for over 16 weeks as well as 2 weeks in the “Best Seller” category also on the Apple Store. The iBook version, for use on an iPad, is now available absolutely for FREE at the Apple iTunes store! Enjoy the first of the Realm Trilogy, that includes a full 12 song soundtrack and 84 full color illustrations free on your iPad. "Mr. Jones has a real talent for bringing this unpredictable and carefully crafted vampire story to life. The attention to detail describing the Realm and its history, the music of the times, and the development of the characters and relationships involved make this not only a great read, but a work of art. I am eagerly awaiting the next installment." 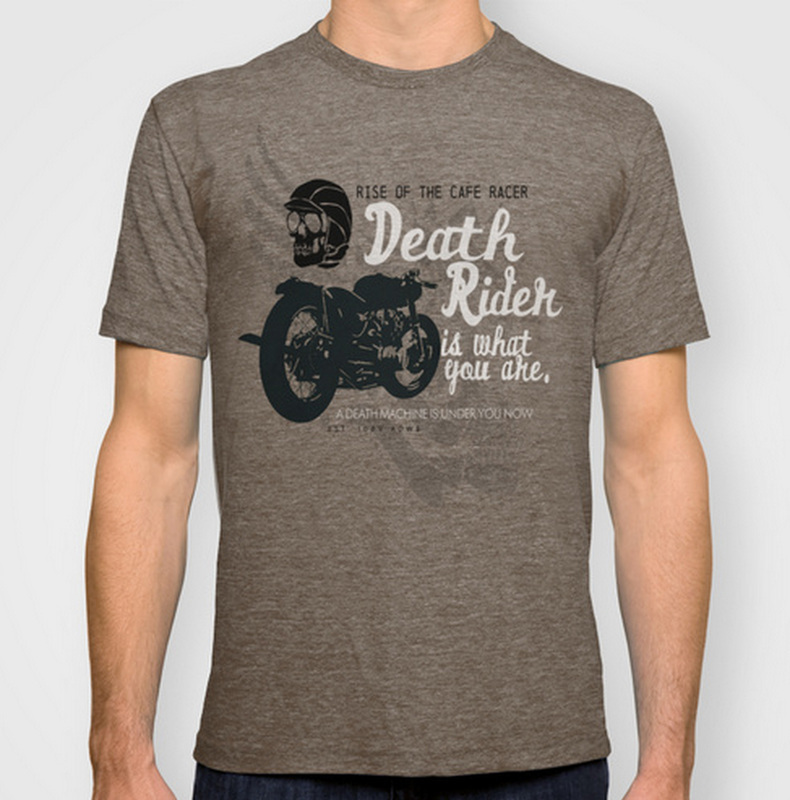 NEW ONLINE STORE WITH R.O.T.C.R. MERCHANDISE! The first book by musician and actor Deano Jones. More than just a novel, ROTCR has an accompanying 12 song Soundtrack and 84 original illustrations. It's truly a one of a kind experience and is available in several formats. Perfectly designed for the iPad, the iBook version contains both the 41 chapter book and the 12 song Soundtrack in one medium. In the Kindle and paperback versions the Soundtrack can accompany either as a cd or as mp3's via iTunes and Amazon music. 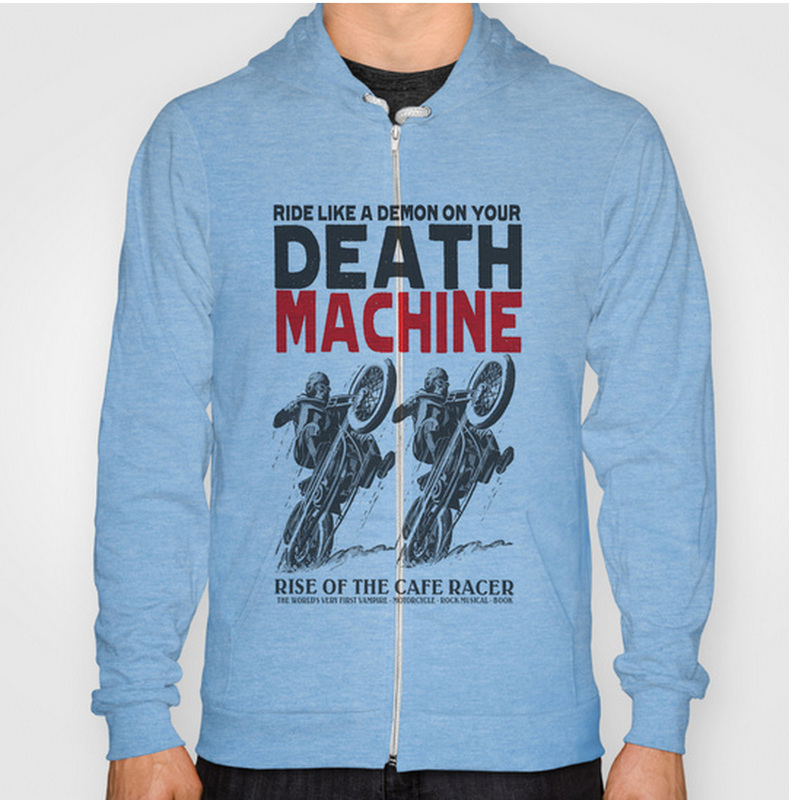 Rise of the Cafe Racer is set 1089 years in the future, after Vampires have hunted humans to extinction. Without human blood to feed on, Vampires have no supernatural powers—just a High Council that dictates their lives. But when the Pike's Run returns— a motorcycle race that only happens once every 121 years— there's finally a chance to dream, a chance to live for the moment, and a chance for an ordinary person to become... King of the Undead. 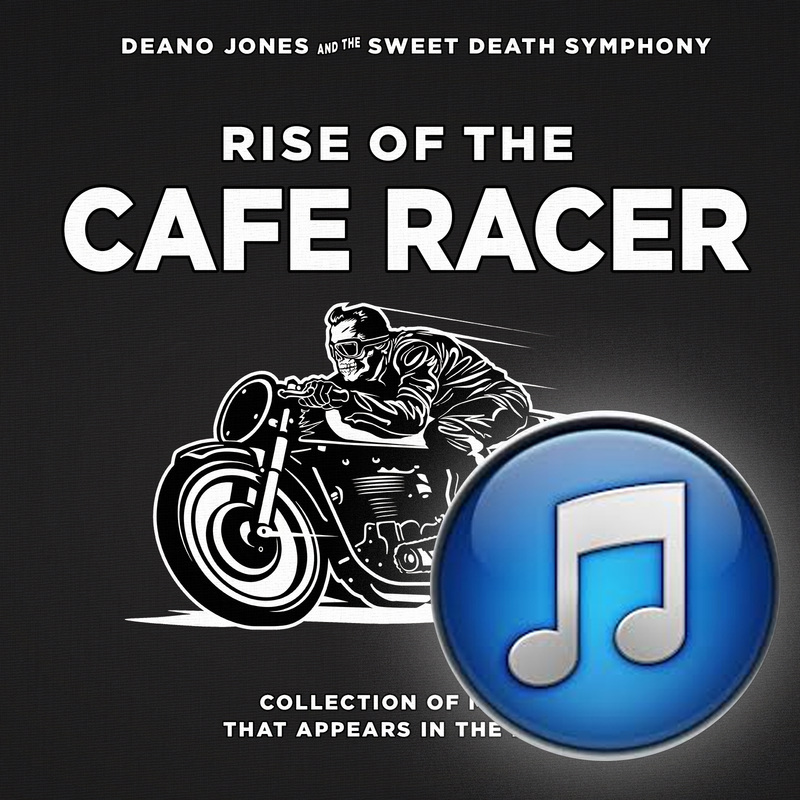 Rise of the Cafe Racer is an elaborate tale with in the world of the Vampires of the Realm. A tale with several perfectly-woven story arcs of passion, corruption, true love and a motorcycle race that determines the King of the Undead. 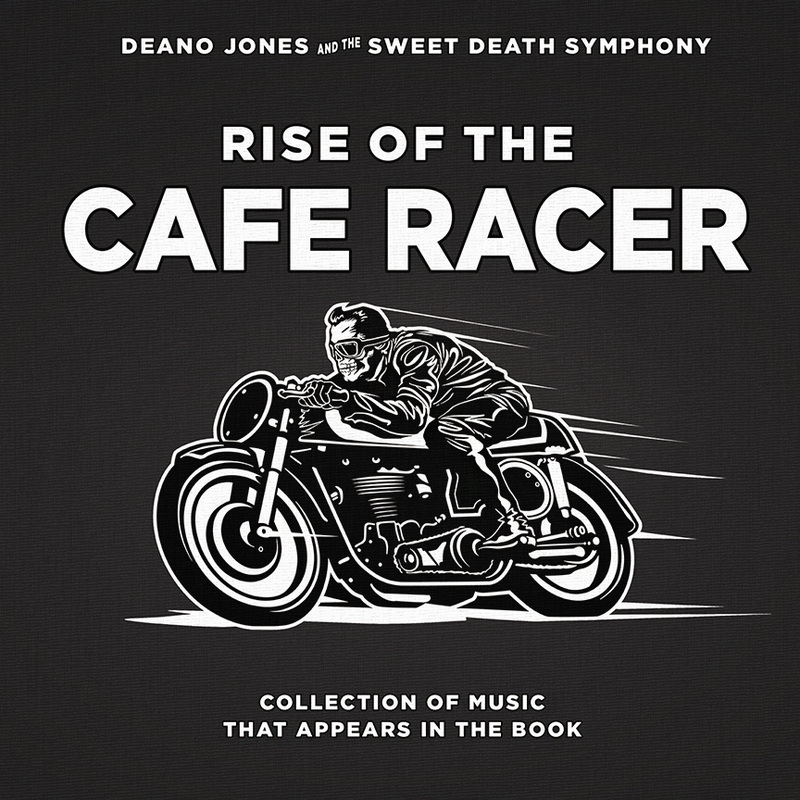 With 84 illustrations, detailed maps, and an accompanying 12-song soundtrack, Rise of the Cafe Racer isn’t just a story; it’s an experience that will leave the reader with a sense of having visited another world… and hungry for the next books. Visit Rise of the Cafe Racer on Facebook and stay updated on free downloads, book events as well as emerging information on the second book in the Realm series, "War of the Vampire."